CompactGC uses proven technology. 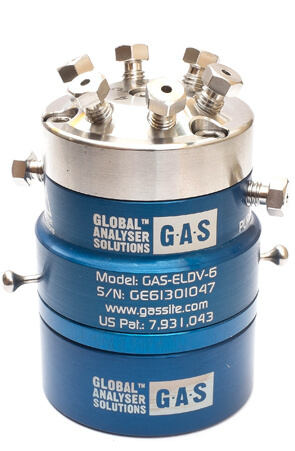 Injection valves normally account for the majority of the maintenance costs in gas analysis; therefore robust diaphragm valves are used to guarantee millions of injections. Solid detectors and user-exchangeable columns provide high flexibility and low operational costs. High quality parts combined with state-of-the-art electronics guarantee extremely accurate results. Highly sensitive detectors like FID, PDD and PFPD are available, providing ppb level analysis using a straight forward ‘GSV-column-detector’ configuration. When even lower levels are required, a Thermal Desorption Module is available, providing detection limits down to ppt levels. An electrically cooled microtrap with multi-bed adsorbent is used for pre-concentration of components of interest. More information.